Environmental, economic and social aspect are the key for the sustainable development which plays a great role in providing human opportunities to live and survive in health, reduction of CO2 and environmental pollution, Increases water retention and ion-exchange capacity of soil, Social Satisfaction, Municipal well being, crime free or crime reduced environment, damage/incident free area and so. So the way this can be achieved is to realize safer, better, faster, simplified, efficient and more economically coherent and automated system in operation and empowering society too. At CCT--Cities Controlling and reporting tool, we are having environmental, financial/economic and social impact on the economy and development of especially Ethiopian and African cities by providing automated affordable services in Waste Controlling, Crime, Incident and Emergency Reporting where CCT--Cities Controlling and reporting tool has impacts different Sustainable development Goals: Good Health and Well-being(#3), Clear water and sanitations(#6), Decent work and Economic Growth(#8), Sustainable cities and Communities(#11), Sustainable Consumption and production(#12), Climate Action(#13), Peace, Justice and Strong Institutions(#16) when fully implemented CCT will ensure reduction of CO2 and environmental pollution, Increases water retention and ion-exchange capacity of soil, Social Satisfaction, Municipal well-being, crime free or crime reduced environment, damage/incident free area and services reliability. And also It can promote production of Small and Medium Enterprises(SME) for production in case wastes are properly segregated for recycling. Currently the CCT is underdevelopment and we are highly concerned to finish and more than 2 cities contacted us to get this project and we have invited by different medias for interview and how it will be successful. Basically, CCT is designed to use center server which is used to easily track the city that the admin can control every activities and reports. Apart from this, CCT project is a key and critical in many aspect. So that the different city MUNICIPAL can buy without hesitation. we can customize our project to different cities that need it, even in their language and Hosting Ads on the Application after implemented. So, Our source of finance is our project. In our current system we will focus on main areas and activities. Even though, There are a lot of things that have to be incorporated in this system as it is huge system that is aimed to create "GREEN CITIES" especially in Africa . Among these: Online Payment functionalities. [PayPal, M-Birr and Hello Cash] may be optional, Converting to different Local Languages and Customize to main Cities in the country, Video Format report, Camera /Live Controlling methods, CHAT integration for live chat with customers, City Transportation, Trafficking and Parking Controlling Tools will be incorporated. Congratulations Abdisa for being a Winner in the Youth Citizen Entrepreneurship Competition! You have an incredible project that will make a tremendous impact for your community and beyond. Best of luck in your continued success! I wish you all the success in your jourey! its great to have interaction with you all in due to this competition i wish you all the very best for entire life may you all become a successful person and lead country towards development because country need the person like us. Congratulations! Just Waaw! This world needs creative youth live you. Without change there is no innovation, creativity, or incentive for improvement. Those who initiate change will have a better opportunity to manage the change that is inevitable. So change this world with your idea. Abdisa you really seems your name. I have nothing to say about you just God and all we your community are with you Continue your journey and have a good journey.............!!! I am ready to confirm your repetitive request to implement CCT-Cities Controlling and Reporting Tool to your country Afgahanistan, Hindia and others who need to see this project on ground inorder to tackle existing problems in their cities. Great to here from you the encouraging words for my idea and i will really thankful and at the same time i congratulate your for your idea mainly in India accident problems are increasing day by day and the respective supervises reach late your app will help for effeactive action in right time Gud work. #Abdiisaa! #Influential man! For sure, this is the beginning, I believe you can do better by next time. Be a tiger. We OROs' are always on your right side. I have gone through all your ideas and projects, I have learnt a lot. i will read its again once and I will comment professionally. Really we had a great time here, and I really thank you all. Can I Join your EDU-CELL project development? Your comment is helpful, Thank you for you appreciation and a constructive suggestion. Thanks for wishing all the best for all enterpreneurship campus comunity. As the competition draws to an end. I want to use this opportunity to specially thank everyone that have supported my idea so far (and that includes you), your contributions and criticism are well appreciated. Your project is a massive but extremely necessary quest. Pollution, crime, traffic, etc. are problems regularly caused by the imbalance of community growth and limited resources. In the long run, increased resources must be made to allow for more growth, but in the short run, having a system that can control, buffer and organize available resources can help ease the problems' intensity. Your APP is built to do this exactly. With accurate measurements, reporting, and scheduling, the APP should be able to help the municipality organize its resources to improve the environment and the community standard of living. Hope you are able to achieve the coordination between the technology and human resources, and take your community toward becoming a beautiful smart city. Your comment is helpful, Thank you for you appreciation and a constructive suggestion. I hope and doing well, CCT will be successful together with my team and you too and others who love to share and contributes their share for the success of this project to create better future. Thank you for all your morale. Your comment is helpful, Thank you for you appreciation and a constructive suggestion. I hope CCT will be successful together with my team and you too and others who love to share and contributes their share for the success of this project to create better future. For your question, Do you read My idea detail today? I have changed and added more contents last night, if not read it again please. The idea is 100% my idea. There are too much problem in my city. So, Enterpreneuniaral sprit is trying to solve local area problem. That is why I am trying to solve my city problem. The second, I have gone through you idea which is to provide simplified way to girls those who cannot able to pay and attend the school. Nad Finnaly for your below question, For franckly speaking I am very happy to see CCT on ground every where in the world. You are the first who showed deep willingness to be part of my project. I am really happy and Invite you to join me as well as to implement CCT to your country Afgahanistan too. A really interesting project and well presented. I applaud the owner of the idea since the social, economic and environmental impact could be indeed considerable for the cities in many countries. I wish you success with implementation! Hello from Madagascar! I am overjoyed with the success of your project "CCT -- Cities". Shine on! Youve got the right mix of dedication and enthusiasm. Keep it up! Really I liked what you said " Our innovations should go deep down to help the marginalized and the very poor. the disparity between the rich and poor keeps widening because we do not factor that need in our models". Really we should go in deep. We can do it for sure. we can't wait for anybody after all. exactly what I am saying . if it is a crime reporting app, then it should remain as such perhaps with similar funtions. Gender issues has also been on the global fronts even captured in the SDG 5. In my country Ghana, most of these gender crimes happens in the remote villages where there are no networks, I dont know if it is also so in your country. what can you add to the novel so that those who do not have access to internet be able to use it and stay functional. why am I bringing this up. Our innovations should go deep down to help the marginalised and the very poor. the disparity between the rich and poor keeps widening because we do not factor that need in our models. Thank you for yours kind words on my project. Thank you very much for you comment, suggestion and humble advice. I really do appreciate your opinion. Your suggestion is constructive. And Also I believe in simplicity as you just said. Our main aim is again to reduce complexity in day to day activities. When I come to CCT--Cities Controlling and Reporting tool, its design in a simplified UI where there is no complexity as one function can handle different action. For examples: In case of Reporting; one function can work for crime reporting, incident reporting, crime reporting and others. So, its user friendly and Simple UI. Thank you. but I think that it should be focused on a particular direction. for instance, if it is for waste management issues, it should geared toward that direction to bring out it simplicity. if you listened to the online training, you would know the secret to simplicity. please have you built the app already? I want to look at how it. Thank you for yours kind words on my project , I am very happy that you realize that my project importance and you comment is really encouraging. I really appreciate your effort and your entrepreneurship spirit you are showing. Thank you for yours kind words on my project , I am very happy that you realize that my project importance. I am really sorry for delay, am occupied with other project which deadline over. Finally, In case of my willingness for collaboration; Believe me I am very happy to collaborate with you or any other who need to join, who need to contribute to my project for its success. Regarding your entry: what a nice proposal! And equally impactful initiative. I was discussing the various ideas and projects in my home and yours was one of the proposals that we discussed. Congratulations and keep it up. I had a couple of questions; please answer them. i. What a beautiful idea! ii. I need more details especially on the sustainability of the initiative. iii. Will you be willing to collaborate incase you want to set it up on ground? The title is very interesting title and waste controlling is becoming a major problem in Ethiopia particularly Addis Ababa. So ,I believe that waste management can be achieved by implement this project. Your project is very much appreciable. People like you are a blessing to the modern world because you are utilizing your skill to help the common people. Keep this spirit throughout your life. The will to do varitiies in life opens up the door of opportunities. So keep this positive attitude always and May God Bless You. Quite interesting to read about your project aiming to address critical and important issues in Ethiopia. We need such type of technologies in today's dynamic world. By the way, do you mind providing more details on your target market segments, how big are they, what would be the cost of your product/services. Wishing you great success towards achieving your milestones. I find your project highly innovative and needed in such a time as this and I just thought to stop by and check on your progress thus far and must say congratulations for your efforts so far, we all need to put in more efforts to achieve our dreams. You can also stop at my idea "Eradicating poverty and unemployment via teens empowerment"for a comment too. This is a very impressive idea and it will surely be beneficial for all.Bring technology for waste management, crime reporting, emergency management and control due to lack of integrated and technologically advanced reporting system. Your project is wonderful as it will bring positive impact towards both social well being and environmental conservation. Congulatulation for your efforts you're making on this project. Your project is quite interesting and impressive, as it tends to improve the communities and the World at large. Congratulations for your efforts! Your project is real unique and life saving, Every time u read this project it keep on inspiring me that some crimes can be prevented so easy by your project. You have nothing to thank for. Your idea is really great. I invite you also to comment my idea Path To Knowledge. I would like to hear your opinion. Thank you for yours kind words on my project , I am very happy that you realize that my project importance for better future of my country. I really Thank you for you kind appreciation of my project. And Sorry for delay, when I come to your Answer; We may have integrated server with shared dashboard where small number of specialists can handle activities. This is depends on municipal authorities, If they need to handle things separately they do it, But integrated central server is cost effective. You can ask is there is unclear point again. Thank you! Hello Dear Franbekan, Thank you for yours kind words on my project , I am very happy that you realize that my project importance for better future, as urbanization is fast with all the problem of sanitation, health, infrastructure service delivery and among others..THANK YOU AGAIN! Thank you for yours kind words on my project , I am very happy that you realize that my project importance for better future of my country. I really Thank you for you kind appreciation of my project. God bless you and I am ready to share ideas with you. Thanks my dear again. Great Minds Abdisa ! Its nice reading through your project and Ethiopia will.be greatful if this idea can be implemented. I want you to stay courageous and sky will be starting point for CCT. I am in full support of your project and hope you emerge as the winner ! Good luck to your wonderful project. Read more about S-HomeDev and it seems some part of my project are related and let's see how we can work together and I am ready to render assistance in the area of embedded system to you too. Hi Abdisabencha Jara projectiin ati qopheessite kan baayyee uummata Oromoo fi addunyaa walitti fullaasudha keessaattuu gara teknolojii tiin kanaaf jabaadhu hedduu aiin boonna!!! This is an interesting project idea that aims to contribute towards creating a clean environment and sustainable development. It needs to be encouraged and supported. CCT is a creative and important project for societies and will have a great impact on health and sustainable development by providing a cleaner, better and safer environment. This is a really interesting project and it should be acting in all the cities in this world. There are a lot of crimes, accidents and other things which immediately necessitates authorities involvement and with an application like this you make their work much easier. Thank you for yours kind words on my project , I am very happy that you realize that my project importance for better future. I am doing well to realize your hope. Thank You again. Thank you for yours kind invitation to provide you a feed back on your project and I am glad that you are doing such great works. Keep moving forward. Thank You again. Jabaadhu abdiisa yeroo hunda si bira jira lamiin kee Ni injifana abshiir Saba bal\\\'aa miliyoona afurtamaa ol tau qabdaa Basically, CCT is designed to use center server which is used to easily track the city that the admin can control every activities and reports. Apart from this, CCT project is a key and critical in many aspect. So that the different city MUNICIPAL can buy without hesitation. we can customize our project to different cities that need it, even in their language and Hosting Ads on the Application after implemented. So, Our source of finance is our project. In our current system we will focus on main areas and activities. Even though, There are a lot of things that have to be incorporated in this system as it is huge system that is aimed to create "GREEN CITIES" especially in Africa . Among these: Online Payment functionalities. 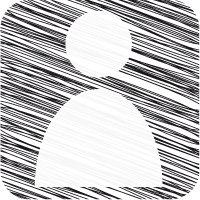 [PayPal, M-Birr and Hello Cash] may be optional, Converting to different Local Languages and Customize to main Cities in the country, Video Format report, Camera /Live Controlling methods, CHAT integration for live chat with customers, City Transportation, Trafficking and Parking Controlling Tools will be incorporated. Dear Abdisa, Could you mind if I as one question? I am thinking about your server that is used to push Notifications to central Server of your report for waste, crime and Incidents as this all are categoriesed to different cities Municipal, like Waste management for Waste, Legal Office for Crime, may be Fire Controlling office if Fire problems happen(if included in your project ) and etc. . So, I don't get your idea here, and how your gonna handle this and how you think your Server will be settled ? Thank your for your kind Understanding! Dear Abdisa, I appreciate what you are doing to your country and the world, where your project is targeted to handle and overcome our current and biggest challenges as different cities especialy in Africa's are suffered of Waste and its management, ways to follow up crime and its investigation. So, when your project is done well, implemented and delivered as specified, I hope it gonna be amazing to create different clean and Green cities. Just Waaaw!, it is amazing that, our continent Africa is currently affected in waste controlling and how to handle and investigate Crimes and incidents. I am sure this project is Automated and very simple where not only government office but also local society directly participates to resolve the problem in our continent. Please keep it up to finish this very Important project and let us see it in real. What a magnificient project to this world secuirity? I am glad to vote this project and Abdisa Bencha Jara for this great project!!! Good lucky to you Abdisa! Above all, I would like to give my endless thanks for the Almighty God made you alive and brought you to this very useful website and also made us alive as well. Basically, you are an intelligent, kind and respected person all in all wherever and whenever you are. In addition to these, you are becoming our sight we always should have our eyes on so that can change our day to day activities and even can be an instance for others may follow us all rounds. Really, you are our dream we had being expected and wondered which counted many years ago to be known where you realized it for us. It is too difficult for me how to bless you since my blessing cannot describe how it should be though, let God bless you more and all teams being followed you bless you as well. I hope, all of us will be on one board for the graduation of your project in near future. And I hope that you will be more famous!!!! Abdisa, let God protect you from your enemies! Keep your good work!!! Thanks!!! Above all, I would like to give my endless thanks for Almighty God made you alive and an intelligent person all rounds! Basically, we can put you as one of our earliest dream we had being wondering coming to be visible for the world so that same generation fully hope you for its civilization. Hello Abdi, though my words are not enough to express your blessing, let the Creature of this seen world always standby you and assist you. Keep doing good without giving up your hope. I hope that, the final of your project will be preciuos and sweat so that we all are on one board for its graduation! N.B: Your unseen intelligent wish will be visible a day by breaking the shadow! Rejoice Always Abdi Our Man of The Year!!!! Abdisa Bencha I have seen what you have done it is very interesting .I wish you all the best.keep it up bro.I want to know how your project works in developing countries like Ethiopia. Your comment is helpful, Thank you for you appreciation and a constructive suggestion. I hope CCT will be successful together with my team and you too and others who love to share for better future. I would like to appreciate you for what you have been doing and what you have been passed through. This project is very significant for our cities developments and I wish you success in every aspect you need. Your comment is helpful, Thank you for you appreciation and a constructive suggestion. I hope CCT will be successful together with my team and you too and others who love to share for better future, as urbanization is fast with all the problem of sanitation, health, infrastructure service delivery and among others. My dear as you specified there are challenges for sure. Still now there is no any contribution directly from administration for the success of the project, but appreciations are coming from individuals from two cities municipals and different Medias are asking for them if they need to directly implement this project and am talking with them too. Another option is customizing this project to regional cities and as you mention, hosting ads can be our funding source. Still if not clear, Get back to me. Abdisa Bencha Jara's success is requiredin order to advance the afan oromo in technology! Wish best time for him! ICCT is highly needed in order protect any security proplem arising in society through technology and improve societies daily life!! Waste management is not only a problem in Addis but in many Africa cities including Nairobi where I'm from. My question is based on the fact that your success is tied to whether the city's adminstration implement this project. So I'd like to know if you've gotten any traction with regards to closing any deals with them and the general response of the government to it. You've mentioned being contacted by 2 cities which are they and how are the negotiations coming along? It so good project for global burning issue.especially when we think about our country in wast manegment it is so easy to modify our life through this project. I am happy when i hear such project. you are my hero the world change agent so I hope you will become the great and the known world ICT exporters. this world is dynamic so please take as through this challenging situation with easy and suitable technology. you hold a great responsibility from over all the world. I want to see you won the vote and productive in your work. good luck ! Your comment is helpful, Thank you for you appreciation and a constructive suggestion. I hope CCT will be successful together with my team and you too and others who love to share for better future, as urbanization is fast with all the problem of sanitation, health, infrastructure service delivery and among others..THANK YOU AGAIN! Ulfaadhaa. Walaloon keessan ni midhaaga. Jajjabina naaf laattaniif galatomaa. Wajjumaan jajjabaannee projrct CCT illee jajjabeessina. Ulfaadhaa, Galatoomaa. Your comment is helpful, Thank you for you appreciation and a constructive suggestion. And I like your idea too which is helpful. Keep it up. And Let me know if I can help you in technical side. You seem a professional person launching 17 apps and 8 websites. I liked your idea very much as it is completely new and innovative. My idea involves the usage of An application too. Dear Abdisa, This is amazing idea. You are going to handle the current biggest issues specially in Africa's cities about the problem of sanitation, health, infrastracture service deliveries and others. Mr Abdisa, I would like to know if you already done this project or underdevelopment and what is a challenges if any? I know this talented man, particularly his endeavor in striving to help youth use technology in many aspects of life. He has been sharing his knowledge and experience regarding computer and mobile software/applications. Moreover, he is the one who started the issue of Facebook translation to Afan Oromo. I would like to thank him for his efforts and believe in him to win this competition! As far as i know abdisa he is very repectful person.he respect his profession and he can do his best more if got the appartuanety so wish him the best. And for our country espeally developing country nred such talented person. Abdiisaa keenya jabaadhu ni injifattaa.Injifannoo injifannoo jennee si waliin dhiichifnaa.Nuti Oromoonni sifaana jirraa. Hojiin kee nama boonsa.It is amazing creativity that can bring sustainable security and peace in cities.GOOD LUCK,Carraa Gaarii. Abdiisaa keenya jabaadhu,ni injifattaa.Sagalee injifannoon waliin gammadna.Nuti ilmaan Oromoo si faana jirra.Carraa gaarii.Your project is amazing,b/c it is crucial for sustainable development and change of world.GOOD LUCK Abdissa. Really I appreciate all your efforts towards attaining your Goal.this is a good start and a moral for our young generations working in different disciplines.your project Ideas are fantastic and seasonal, which needs attention of every individuals.That is why I ought to give you my vote.Keep fighting to attain your dream! jabaadhu qomoo ko hanaga dhumaatti dhaabadhu. nuttis qomoon kee sii waliin jirra. atti ilma oromooti,oromoon duru qaroomaadha,marre attis kanuma mirkanneesitte. An excellent idea and I totally support and vote for this project. Jabaadhu lammiikoo ni mootaa. Lammiin of beeku marti si waliin jira. Currentely cities are expanding all over the world and this application is highly important in regulating different issues in this expanding cities. Jabadhuu Ilmaa oromoo no milkoofta sammuun kee kalaqa kana caaluuf nuu haa banamu jennaa sii jalanna. Gaafa akkas jennuun ammoo gumaachi tokkon tokkoon keenya waliif goonu murteessadha. harka wal qabnee bakka barbaachisuun wal gahuun dirqama eenyummaa nuti walitti qabnudha. Abdisan akkamitti uummata 50000000 keessa sagaleen 500000 dhaba? Well, I wish you all the best to my dear. To be honest, I don't have much idea about this project and how it works but I only vote for him being an Oromo. I wish all my fellow Oromo people to be the top in all things they compete. si waliin jirra injifannoon nuuf gali sanyii dhiira hojiin ati hojjette kan nama boonsudha jajjabaadhu ani baayyen gammade piroojeektii nama hawwatu dha. karaa tekinoologi IcT DARGAGGOO AKKA KEE HEDDU NU BARBAACHISA. Thanks for developing \"CCT--Cities Controlling App for Cities Waste Controlling, Crime, Incident and Emergency Reporting\"! I'll expect great acheivments from you! This is great idea which must be supported by different organizations. Project kun ni mo'a. kunimmoo ijoollee keenyaan murtaa'a. ka'aa yaa jarana filaanoodhaaf. Irrattis Hirmaadhaa nama biraas hirmaachisaa. Nice to see you here. Si waliin jirraa ni moona. Injifannoon keenya. Application kunimmoo deebi'ee nu fayyadduu mala. Qeerroon keenyas kanarratti hirmaachuun dirqama. wal haa jajjabeessinu. It is really innovative and important project and will have a great impact not only on the sustainable development but also on the peaceful life of society.However, like any other projects or ideas you may face challenges of implementation. So may i ask you how you are going to convince/encourage different districts to use your app for betterment of their districts/councils as not many people are fond of making things automated and how are you planning to maintain funds for your project. Humnikef jabinnike WAAQAYYODHA. Innimmo si gargaara. Hojiin ati jalqaabde kun Uumaatakef hoji boonsaadha. Kanaf jabaadhuu. Milkaayi Waaqayyoo adda sif ha kennuu. Heddumminni keenya Yoo Har'aaf nu hin fayyadin Yoomif Nuu Taha laata? Qunceen Walgargaatee Arba hiiti jedhama miti ree? Kanaaf Obboleessa keenya Abdisa Benchaaf sagalee Teessan hin Qusatinaa Hadaraaa!!!!! Hojii gaarii jajjabeeffamuu qabu, jabaadbu. Keessumattu hojiin kee kun namoonni naanaa sana jiraatan akkuma saba kaanii hojjechuu akka danda\'an kan mirkaneessu waan ta\"eef abdii guddaa dhaan eegna. jabaadhu abdi keenya akkaa mo'aatus abdi guddaan qaba. waqnii sii yaa gargaaru. kun nuf jalqabaa ta'uus dhaaloota nu duuba jiraaniiif karaa gaarii banuuti jirtuuti jajjabadha. Abdisa Bencha Jira keep up! this innovation and creativity for Environmental, economic and social aspects are the key for sustainable development, particularly to curbs an escalation of pollution our planet. jabaadhaa seenaan isin yaadata waan jabduu jabduu saba keeysan gootaniittu. waa hundaafuu sabni keessan isin faana jira jabaadhaa ammallee! good luck i wish as you won! This project has many benifets for all countries. If this project selected and implemented it is important for societies interms if health and economic development. Interns of health it used prorotect wasteges and make environment clean. So it brings healthy environment. In addition it is very important for economic development because of these wastages are used as input to produce others output. So that I support this project! You are doing great things for your people. This project is one of your groundbreaking job you have done. Hopfully you will win the comptition for your effort and accomplishement on our counntry's unfavorable conditions especially in the internet area... Keep It Up Bro. Wishes You Good Luck. Thank you for yours kind words on my project , I am very happy that you realize that my project importance for better future, as urbanization is fast with all the problem of sanitation, health, infrastructure service delivery and among others. For your information, my project is targeted the Cities Municipal that I developed to automate the manual system of the current cities municipal system. Indeed your idea is great and all the best for your idea and congratulations for your efforts which you have put into it. Just a question I want to ask you that how you will be doing the marketing of this? Abdisaa :gumaacha ati sabakeef lammiikeef hirqinfattee qubee afaan oromoon fb fayyadamuu qabna better hojjechaa jirtu ,baay'ee namatti tola.kanaaf dholoonni si duubaa arreedaa jiran faanakee hordofuun gumaachakee kana leellisanii si waliin dhaabachuu qabna. Thank you for yours kind words on my project , I am very happy that you realize that my project importance for better future, as urbanization is fast with all the problem of sanitation, health, infrastructure service delivery and among others. I welcome both partners in and those are who can help us in finance, advice ... THANK YOU AGAIN! Thank you for yours kind words on my project , I am very happy that you realize that my project importantance for better future, as urbanization is fast with all the problem of sanitation, health, infrastracture service delivery and among others..THANK YOU AGAIN! jajjabaadhaa leencota keenyaa waaqni oromootaa isin haa gargaaru ijoollee keenyaa!. jabaadhaa oromoo miliyoona 50 qabattanii hin injifatamtanii! jajjabaadhaa jajjabee injifannoo gaarii fi kan milkii isiniif haa ta'u. Abdissa Bencha Jara is one of the current creative entrepreneur young Oromo.He is our hero so all Oromos should vote for our son.He is given not only for Oromos but,for all Africa and the rest of the World. His creative ability in the tech field will bring the World a big change that will resolve lots of problems just like what he started here. Dear World please vote this East African young Oromo creative developer whom many believed to bring about big change in his career.My message also goes to our Oromo brothers and sisters to vote him and share to all people concerned. I wish you all the best Abdissa. Hedduu sijaallanna abdiidhaan itti fufi. Yaadadhu:- Filamtus filatamuu baattus hojii kalaqakee irraa duubatti akka hin deebine. Abdissa Bencha Jara is an Oromo young who is creative,developer emerged in this century in East Africa.He is the blessing God given for not only Oromos but for the Globe.His creative mental which is at its mature will bring a big change once he revealed to the dramatically changing technology of the world. I wish all the bests. I loved this programme for hiring our youths in the future.I hope my hero Abdissa Bencha Jara will overcome and hope good luck bro. Namni Oromoo taatee utuu Abdiisaa hinfilatin bira kutte Oromummaa hin qabdu maqaa malee!!! Your project is really interesting and very importante to set up it in your country and congratulations for awesome project .I will to know if you re looking for others partners or financial support to set up it? I look forwards to her from you . Abdisa Bencha is Strong Young and gentlemen to contribute our language development. That is why winning this CCT competetion deserves him...Vote now for Abdisa B...!!! We are lucky of having highly talented and creative minded entrepreneur like Abdisa Bencha Jara. Urbanisation is growing fast and environmental issues are the main concern of the future. Hence, I believe this will be a solution for our future world if implemented. Abdisa Bencha is young, courageous and creative person who is doing promising works. He should be given warm appluade for the CCT- Project and further be encouraged in what soever is neede. Good work, bro! keep it up! It is Very good idea easily control our work to prevent impact of human activity to the environment because CCT will help to solve many problems related to urbanization which is fast with all the problem of sanitation, health, infrastructure, service delivery and the others . Abdisa Bencha Jara, a would be scientist, is a young entrepreneur emerged with the golden idea, 'Cities controlling application ' which is the first in its kind in solving problems in cities! I want to congratulate Abdisa for this wonderful idea and look forward to seeing and hearing he will win the contest! My thumps up!!! Go ahead!! This is a highly advanced innovative technology with huge potential. It will immensely improve waste management and control, crime prevention, reporting and control and better emergency management. If implemented it will leads to crime reduction, improved emergency response, cleaner and safer environment, safer society and safer country. This is a highly creative and innovative idea. I wish you a great success. 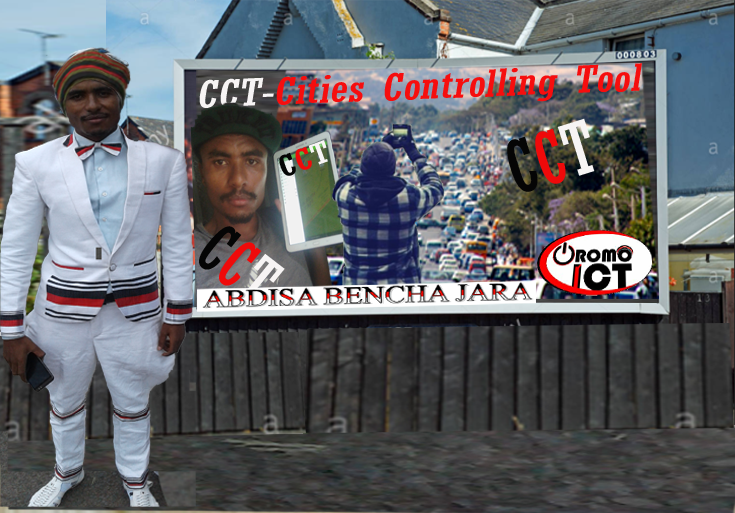 Abdisa bencha,Thanks for developing \"CCT--Cities Controlling App for Cities Waste Controlling, Crime, Incident and Emergency Reporting\"! Thank you for developing \\\\\\\"CCT--Cities Controlling App for Cities Waste Controlling, Crime, Incident and Emergency Reporting\\\\\\\",server which is used to easily track the city that the admin can control every activities and reports. Hojii bareedaadha hojiif kee kan Oromoo nu boonsu kan nu gammachiisudha mo\\\'i irra aani! health, infrastructure service delivery and among others..THANK YOU AGAIN! Thank you for you appreciation and a constructive suggestion. I hope CCT will be successful together with my team and you too and others who love to share for better future, as urbanization is fast with all the problem of sanitation, health, infrastructure service delivery and among others..THANK YOU AGAIN! Abdisa is energetic guy. His innovative capacity is huge and his app is problem solving and of high relevance. I say go forward and wishes him victory. And Expect from him much at the future. Thank you for you appreciation and a constructive suggestion. I hope CCT will be successful together with my team and you too and others who love to share for better future.THANK YOU AGAIN! We,people of the world,are lucky to have young creatives like Abdisa Bencha Jara to develop application for controlling waste materials, crime,incident and emergency reporting. Therefore, we must vote and comment if we want to control waste materials,crime,incident and emergency reporting timely. The innovative idea of this young man has really inspirational effect on other youths and believe he will win the competition. Wish you a good luck Mr. Abdisa B. (2) This Abdisa Bencha's project is very crucial and viable for cities waste reduction, processing, management, recycling and also for waste reuse. It provides low-cost alternatives to the disposal of waste, especially for developing cities. With this project we can yield multiple improvements in both climate and health. Dear Abdisa; Thank you once again! Thank you for developing \"CCT--Cities Controlling App for Cities Waste Controlling, Crime, Incident and Emergency Reporting\",server which is used to easily track the city that the admin can control every activities and reports. Hojii bareeda! hojiin kee kan Oromoo kamuu gammachiisu...moo\'i. Great Job bro. keep it Up! Abdisa Bencha is energetic, a hard-working young man who is known for his innovative ideas and the cost-effective solution he brings for some of the problems in this field.His CCT project is simply an answer to serious environmental problems we are seeing nowadays especially with regard to waste disposal. Capable man! !be courage,may God help you in every direction you want to propose to improve the society problem through you project that is enviromental,economic and social aspects are considered. Also,wich provide human opportunities to live and survive in healthy reduction of carbondiaoxide and enviromental pollution and increases water retention . To talk the truth ABDISA BENCHA should frist. Imagine, He is doing on OROMO ICT in the condition of hard polotical crisis in our country. Ethiopian government is real dictator, who is killing his nation by gun even in one day on holiday, arround 900 peace people. But Addis Ababa, capital city of Ethiopia is locate in Oromo region. ABDISA is doing in this circamstance. You are working day and night to make our language very known to technologies of modern system. Your work has been indispensable for our generation and we are with you on your way forward! I am really glad to hear your positive feedback and a constructive suggestion. And for your doubt, let me explain a little bit. In Manual existing system According to my finding of Addis Ababa city on Waste controlling and the way they are handling other problems. According to ENDA (1999), a limited sewerage system, designed for 200,000 households, but only 6000 households as the organization of operations and management structure, collection and disposal are parts that are poorly organized. Accordingly, Around 65% is collected and disposed by the municipality in the dumpsite, Around 5% is recycled, Around 5% is composted and The remaining 25% of the solid wastes are uncollected and dumped in unauthorized areas such as open fields, ditches, sewers, streets and many other available spaces in the city (AASBPDA 2003)..
And the remaining area like crime controlling, Traffic damages controlling, Emergency controlling method were also in the same way that which manually handled by human forces where no automated system is there. This causes problems like health problems, dirty areas in the city, no transportation safety, and no immediate action for damages as no immediate report is there, no immediate crime investigation and etc. Based on the listed and others issues or problem, CCT is come to address, solve these problems of the existing manual system. 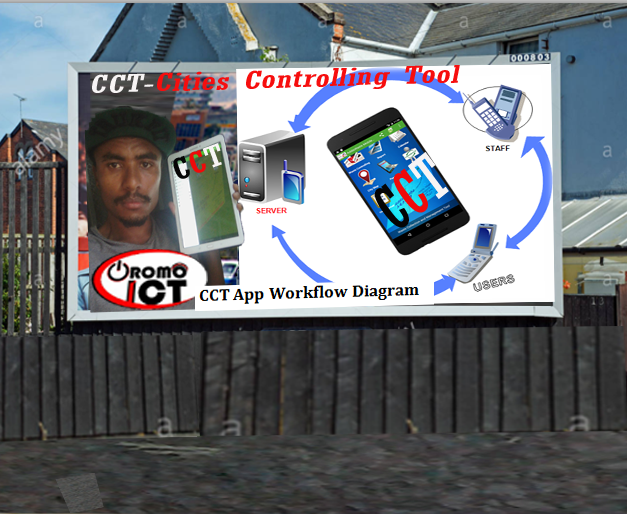 CCT App is innovative multimedia guide for waste Management and controlling, City Crime, Incident and other Emergency Reporting and how to control wastes and create clean the area and for closely following up the problems that may suddenly exist in the city which is controlled from central server. So, As of my first presentation, different media contacted me for interview and two city municipal show their concern to have this project to automate their manual existing system. I am really glad to hear your positive feedback and a constructive suggestion. I hope I will do more together with my team and positive people who are ready to provide automated affordable services in waste management and accident controlling. Thank you again. Am sorry? what happen to u? an thing you disappointed with or unsatisfied with? please let me know that why you are saying this. Finally its your right to unsubscribe my dear. Thank you for Voting and Giving me a constructive and helpful comments on CCT project and keeping up with me more thoroughly than my significant others have. Remove me from your website ididn\\\'t wish to receive message/any from you. Please unsubscribe me. It is enough am not advice or give you an idea please remove me. We are glad that you are doing such great works. I fully support your idea to control our environment as today we are at the most risky situation due to negligence and ignorance of human activities. I am confident that it will not be long time to see when you impact the life of others. I wish you all the best. I am really glad to hear your positive feedback and a constructive suggestion. I hope I will do more together with my team and positive people who are ready to provide automated affordable services in waste management and accident controlling that CCT supports World sustainable development goal. Thank you for you appreciation and a constructive suggestion. As you specified there is a challenges sure. To over come these challenges Currently am developing individually on back-end of APP side and it needs central system during implementation, even though this project is very important to cities municipal, even currently two city municipal need to contract with me and need to use the system. So, I can fix finance problem and get hired professionals for success of my project. Thank you again and You welcome if any unclear point again! This is a great step towards success. I have voted and hope that you are successful. These efforts made by young Oromos, is an addition to the furthering our progress for the globalization of the Oromo Struggle. Great work!! Firstly, an entrepreneur's novel idea is appreciated. These kinds of projects can help in addressing the challenges most African cities are facing and are important for societal well being if implemented properly. Thumbs up for the entrepreneur and good luck! Dear Friends and my people Thank you for Voting and Giving me a constructive and helpful comments on my CCT project and keeping up with me more thoroughly than my significant others have. #Invite and #share with your friends so that i can get more feedback. Please do not hesitate to criticize my project(CCT) if you feel so and feedback too. THANK YOU AGAIN. This guy has developed à wonderful app to ensure à cleaner community and cities contributing to à global climate initiativet which requires everybody\'s contribution and awareness. As far as i know Abdisa Bencha Jara is a creative, hard working, initiative and Oromo ICT designer. Protecting our city is the responsiblity of all of us. Specially , CCT--Cities Controlling App for Cities Waste Controlling, Crime, Incident and Emergency Reporting. Good luck! I am really motivated to see the success of this great ideas which will contribute for the safety of our cities. I hope we will see the real fruit of this project provided that he will be the winner. Wish you success Abdisa Bencha. This is really not your dream but the dream of that great nation you were born from. It is one of the greatest acheivement a person can contribute if successfully which highly demand great help from all stake holder. Let God bless this man, Abdisa Bencha Jara. I am really glad to see the success of this great nations dream. I hope it will be real with in short period of time if we support but any means requried from us. him for all his efforts. Abdissa Bencha Jara is a promising young man in the field of ICT and he is believed to make a big contribution in this area. His project with which he is competing in the Youth Citizen Entrepreneurship Competition would be very helpful in dealing with the problems that we are dealing with today such as environmental pollution & crimes. Therefore, recognizing his efforts would initiate him to innovate new technologies that would make life easy. Obviously there are huge problems in cities particularly in developing countries such as those in Africa. To alivate those problems CCT project is very important and it has to be encouraged. I love this project and voted for it. ABDISA: You are coming with very much promising project to resolve complex issues in urban environment especially in developing countries of the world where revolting devastate disposals, crime and disastrous traffic incident are imperceptible due to lack of effective and efficient ICT tools. Hence, I expect, the project t you are come up with is much contribution to solve for such kinds of impacts on Environment, and human health in this world. Keep it up and I vote your project. This is novel project we need to support all. We need to be smart when it comes to utilizing and protecting Mother Nature. The surface of earth is limited and we can not expand it. As a result we need to use in manner that would enable man creatures live in a sustained way for years to come. 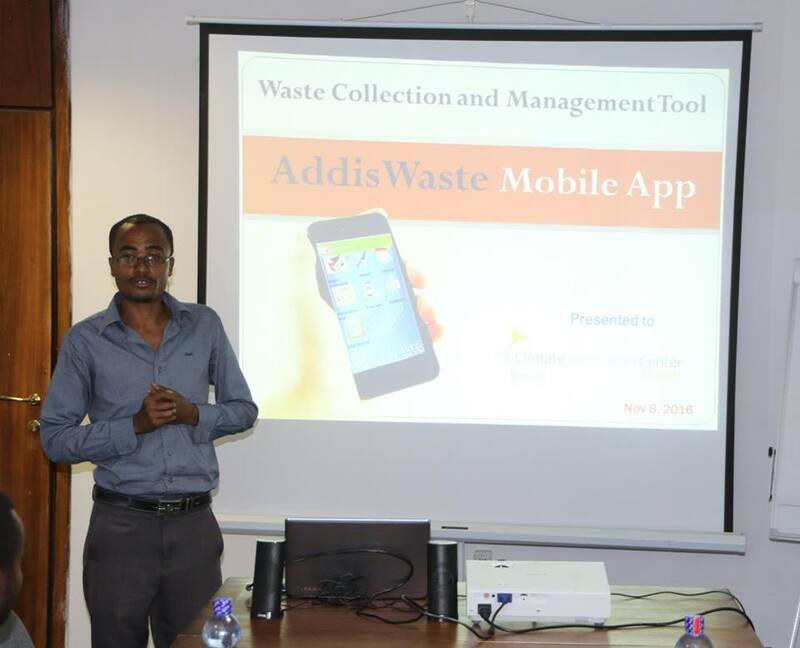 Abdisa\'s project is one of them that would enable citywide, global wide waste management and I believe every one can feel it. Keep it up Abdi. #Actually this issue embraces all oromo community in country and abroad. Please vote your sound for our ICT hero who stands with us in support of Technologies,apps and etc. In addition,Bencha is the one who plays great role in facebook translation. It is really interesting and important project that has an impact not only on the sustainable development but also on the peaceful life of society in developing countries like Ethiopia. However, like any other projects or ideas you may face challenges of implementation. So, do you mind explaing how to overcome the future challenges, in terms of both human and financial resources. Abdisa Bencha is energetic,hard working young man who is known for his innovative ideas and cost effective solution he brings for some of problems in this field.His CCT project is simply an answer for serious environmental problems we are seeing nowdays especially with regard to waste disposal.This is huge problem in the cities of most developing countries including Ethiopia.I believe this project also important to avert multifacted city problems like traffic accident,crime and others. Abdisa is an emerging man for the world. His project is very helpful in protecting humans life through maintaíning the way the human itself do with the life detoriorating things., like crime, waste,...and so on. The ever-increasing production and consumption in cities result in serious environmental problems in terms of the pollution of land, air and water as well as the degradation of ecosystems. This Abdisa Bencha's project is pivotal and feasible for cities waste reduction, separation, processing, management and recycling and also reuse. it provides low-cost alternatives to the disposal of solid & liquid waste, specially for developing cities. with this project we can yield multiple improvements in both climate and health. For such like this work which we all proud of #Abdisa real I do no what a credit that to him? You should've gotten honorableness from your country! keep it up we are side of you! We hope that this project help those who are the city that have problem of waste and crime controlling! Abdisa bencha is really a wonderful and intellengent youth we have now a days. And i have used some of his app on my mobile specially in Afan Oromo which is very interesting apps. I am eager to see this app too practically on the ground. Abdisa Bencha Jara is simply an intelligent, creative and interpersonally well communicator youth who have the great vision to his community. His project idea is extraordinarily important for the developing countries where the listed issues in the project are prevailing vastly. Supporting his project is supporting sustainable development of his country. This innovative CCT project is a noble, soft and cost effictive solution to the multifaceted city problem. From his past achievments, commitment and realistic approach, we can expect more from Mr. Abdisa Bencha and invest on him by awarding this compition. This innovative CCT project is a noble,soft, and cost effective solution to the multifaceted city problems. From his courage, commitment and realistic approach, we can expect more from Mr. Abdisa Bencha and invest on him by awarding this compition. Your efforts of controlling city waste and crime seems to be a quite interesting project. Creating an app is catchy since you are using technology to tackle social issues such as crime and waste. Wherever you go many cities are overcrowded by a number of things. I believe this man saw this problem and started looking forward to solve in case of our country Ethiopia. #Abdisa is a hard worker and I believe an Application he developed has a great impact on every cities of the World country. Keep it up. I'm happy with you. I know Abdisa Bencha for his effort in building a new technology for our society and our language. Out of those activities many of his works has got a lot of acceptance in the society. I will give my support for him to win this competition because he is really an entrepreneur. I fully support your project as it is a great step forward for ICT development to solve existing poor networking at the 3rd world . Wishing success on your contest ! Different kinds of wastes are generated and disposed improperly in a day. So, this project gives solution for such kinds of impacts; impacts on Environment, on human health and in in turn entire non living and living things. Because of this I vote for him! This project is very much promising to resolve complex urban governance issues. It is particularly of the paramount significance for cities in the developing world where disgusting waste disposals, crime and tragic traffic incident are not only frequent but also untraceable due to lack of effective and efficient ICT tools. Under such deficiency local innovative projects such as this (CCT) would play indispensable role. This immense. I hope it will contribute a lot in controlling several apects of Cities and make them livable specially for those of us in a developing nations. Keep pushing forward Abdisa. Thank you! I would like to appreciate Obbo Abdisa Bencha for his wonderful innovative idea. This kind of project is the 1st by its kind for the world too. This real and creative idea of young entrepreneur (obbo Abdissa Bencha) will be powerful in providing swift information on spot. I have no doubt for its positive contribution in green development of information technology. Abdissa, Keep up on doing!! this is an interesting project idea that aims to contribute towards creating smart cities in the era of 4th industrial revolution. this kind of startups needs to be encouraged and supported. I believe this project have a multiplier effect. This is the beginning which starts by one step and i hope you will win this Youth Citizen Entrepreneurship Competition, May Almighty GOD with YOU. We will be with you. I know Abdisa Bencha for his effort to develop new ICT works for our society. Specially, for Afan Oromo language development he doing great and I appreciate him for all his efforts.